A young girl chases after her two older brothers, grabbing one of their hands into her own. "What will we do today?" She asks the taller blonde. "But we trained yesterday!" The child whines. "One more day won&apos;t hurt." He replies strongly. The girl sighs, turning to her other brother and staring at him with big, blue eyes. "Yes, dearest sister. I will." The boy answers kindly. The girl smiles ear to ear and runs off laughing. "I think she&apos;s waking up....." A faint voice whispers. That&apos;s enough to have energy jolt through my body. I roll backwards and jump up to my feet. Right there, staring up at me, are two boys around my age. One of the two has shoulder length streaked blonde hair and bright blue eyes. The other one, however, is the exact opposite. He has dark hair and dark eyes, and a bit shorter than blondie&apos;s. Both of them have pale-ish skin. I look around and see my reaper/ scyth thing laying a few feet away. I sigh. &apos;Why couldn&apos;t it just stay on my back?&apos; I think as I walk over to get it. "Is this Earth?" I inquire in a quiet voice. "Last time I checked, yes. This is Earth." The dark headed one answers. "Hmph. Good. I&apos;ll be off, then." "Wait! Where will you go?" The blonde exclaims. "Why don&apos;t you just come with us?" "I don&apos;t know. I&apos;m dangerous." My eyes widen a bit. No one has showed me this much generosity before. "We don&apos;t care. At least tell us your name." He urges. 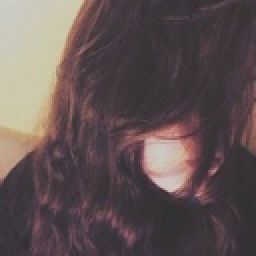 "My name....." I say darkly. 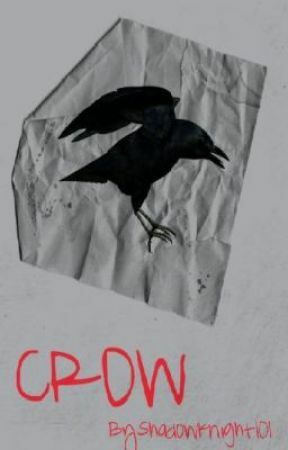 "Is Crow."